This package has everything you need to get started with pinpointing Ford issues and just a little bit more. 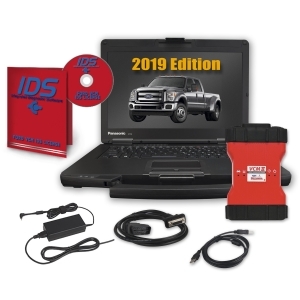 The one-year Ford diagnostic software subscription and the Toughbook laptop round off this package with the outstanding Ford VCM II, allowing you to make one single purchase for all of your diagnostic needs. Also included in this package is the VCM II Quick Start Guide so you can familiarize yourself with the equipment and be ready to get started as soon as possible. • Comes Complete with Toughbook, VCM 2 Kit, Full Dealers License, Turn Key for your shop. 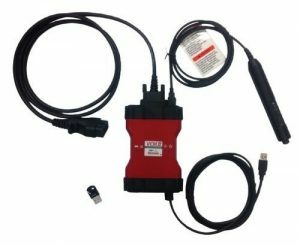 Ford has outdone itself with a high-quality diagnostics interface in the VCM II. 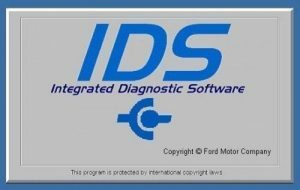 It is specifically designed to work with the Integrated Diagnostics Software (IDS). The two together provide a full range of dealer-quality diagnostics for every 16-pin OBD 2 Ford on the market. The VCM Ford has been equipped with wireless capabilities so that it can communicate with the laptop of your choice. It uses USB connectors for wireless communication and easy setup. You won’t need to upgrade the software or hardware to ensure that it works properly so long as you have IDS. 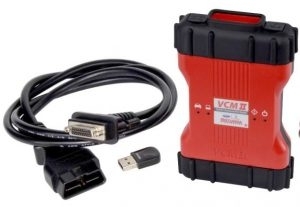 This means that the Ford VCM 2 can be connected to the Ford while your technician works from the computer remotely inside the office. Stop selling your shop and yourself short and get yours today.